Home » Health & Wellness » Family Health » Bless You! After the winter season of 2014-2015, we are enjoying the onset of beautiful spring days, but unfortunately not everyone is enjoying the good weather. Maryland is one of the most allergy-prone states, both in air-born allergens and those in food. 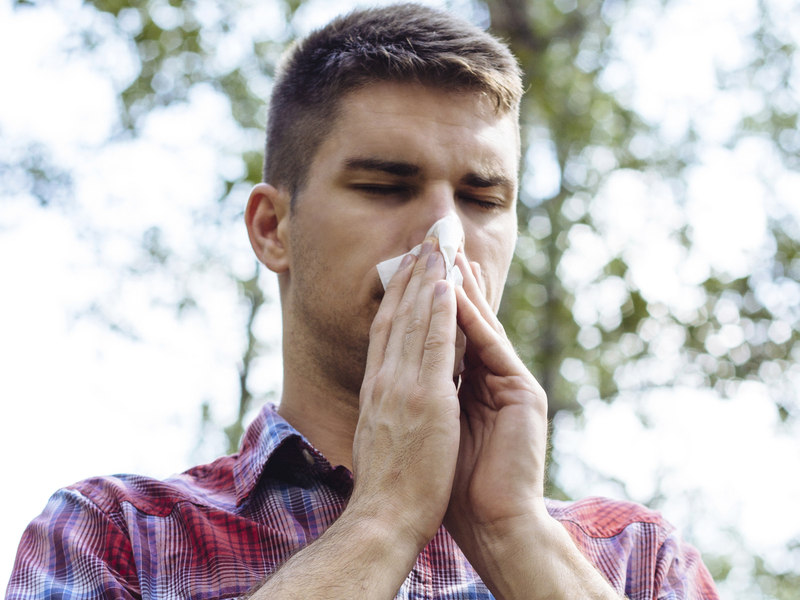 In this article, Dr. Janice Rutkowski answers questions about allergies and testing for them. A: Allergies happen when your immune system reacts to a foreign substance (allergen), such as plant pollen, dust, certain foods, insect stings or bites, or pet dander. When you come into contact with an allergen, your immune system’s reaction can inflame your skin, sinuses, airways or digestive system. Q: What are the signs I may have allergies? A: Allergic symptoms include itchy eyes, nose or throat, nasal congestion, runny nose, watery eyes, chest congestion, cough or wheezing, itchiness or eczema (inflamed or irritated skin). The severity of allergies can range from minor irritation to anaphylaxis — a potentially life-threatening emergency. Q: Can allergies be cured? A: Most allergies can’t be cured, but treatment can help relieve your symptoms. In the case of seasonal allergies, many people find relief with over-the-counter medications. But when they don’t respond to the usual treatments, they require testing to determine the cause. Q: What allergy tests are available? A: There are two standard tests: skin tests and blood tests. Skin tests (known as scratch tests) are the most common and are administered by allergists or dermatologists. A very small amount of certain allergens are put into your skin by making a small indentation or “prick” on the surface of your skin. If you have allergies, a small swelling that looks and feels like a mosquito bite will quickly occur where the allergen(s) is introduced. Might have an extreme reaction during skin testing or have a history of life-threatening allergic reactions. Are using a medicine known to interfere with test results and cannot stop taking it for a few days. This would include antihistamines, steroids, and certain antidepressants. Cannot tolerate the many needle scratches required for skin testing. Have an unstable heart condition. MPCP can administer the blood test in our offices for people who have skin disorders or are at risk for an extreme reaction. We can test for many substances in one sitting. If you are one of many who suffer from cold-like symptoms with the change of seasons or have one of the symptoms listed above, see your MPCP doctor for evaluation and treatment so you can enjoy this wonderful season in good health! Janice Rutkowski, M.D. is an MPCP partner and is certified by the American Board of Internal Medicine. She sees patients at the Arundel Mills office.